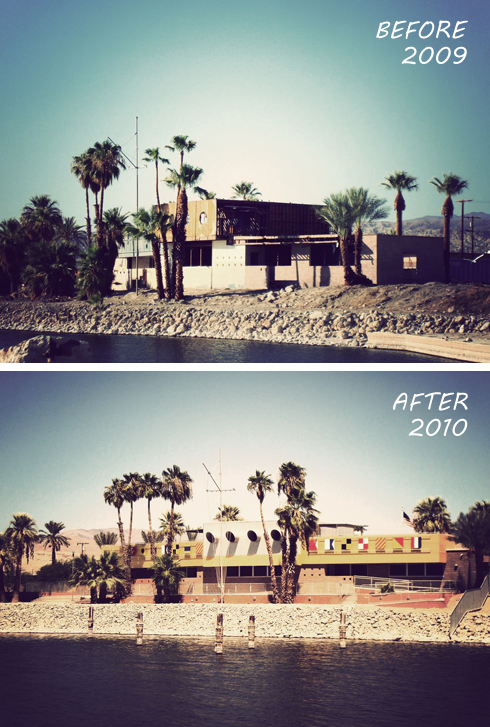 For those who have been interested in my Salton Sea posts I thought I'd share a couple of images that I shot of the North Shore Yacht Club. The before image is from August 2009 and the after image is from September 2010. You can see just how much work had to be done, and how much has changed in a relatively short time. You can check out the original promotional video below to see what this place once was.